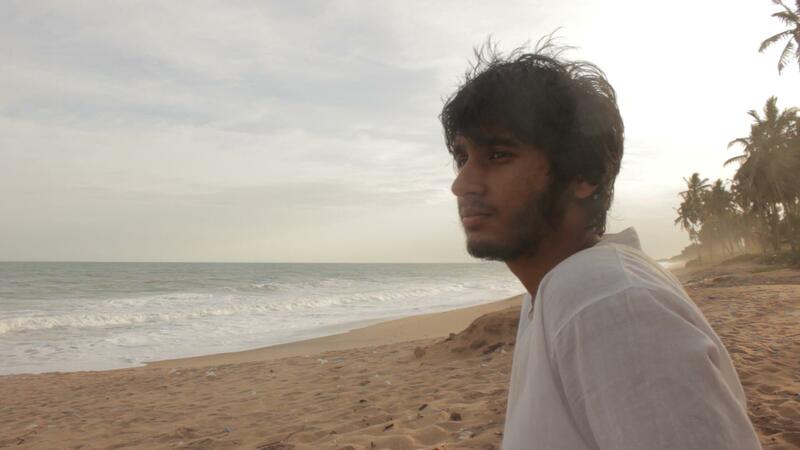 Eshan Singh on a beach in Ghana. From the movie "Blackness: A Beauty." 19-year-old Normal Community High grad Eshan Singh has been an active participant in community issues. In 2015, he and more than 100 students walked out of class to protest the initial implementation of the PARCC exam in Unit-5 schools. Singh has now turned his attention to the "Black Lives Matter" movement. This American of Indian descent said he recently spent a semester in Ghana during his "gap year" of college to discover the roots of what he characterizes as "Black Beauty" and "Black Power" in America. That experience turned into a movie he titled "Blackness: A Beauty." "I came to Africa with the idea that I could learn about the power of blackness in Africa. But in the film I quickly discovered that wasn't true." Singh says he choose Africa over America to begin his quest by pointing to the European infiltration of Africa centuries ago . "They said black people were lesser than Europeans, the white people. They enslaved Africa and robbed it of its resources. But blacks didn't concede to slavery. Since slavery began, African's have been resisting." Singh said he didn't find his idea of black power in Africa, and that African's weren't going to teach him about 'black power' and 'black beauty'. "In reality, Africans don't exist to teach me power. They exist to be human, and I quickly realized how human they were. To go to Africa and live there three months, it forced me to look on myself and ask 'how am I defining blackness myself'?" Singh admitted his trip opened his eyes to how he and others in the United States have been socialized on how to view race. "One of the biggest things in the movie is me confronting my own racism. For example, one of my first memories of confronting that racism was walking in the airport in The Netherlands. Slowly the colors of the people started getting darker the closer I got to the Ghana terminal. And I had these subconscious thoughts about wishing I had gone someplace cleaner, somewhere neater, somewhere nicer. Why was I thinking these things? Because suddenly all these black people were around me. And that was something I had to confront early on, that I felt less comfortable around these people because they were black." Singh said he was caught off guard by his revelation because as an Indian-American with brown skin, he considers himself an activist, and an ally in the Black Lives Matter movement. He said his experience in the airport gets to the heart of his movie. "Are we who we think we are? Who are we really in the racially divided world? Have we been able to transcend racism in ourselves? And I don't think we have. At least I don't think I haven't." Singh's movie "Blackness: A Beauty" premiers June 26 at 2:30 p.m. at the Normal Public Library. Listen to Eshan Sing's entire conversation with WGLT's Jon Norton about his film "Blackness: A Beauty" and how had to learn to confront his own embedded racism. Grand Jury decisions in Ferguson Missouri and New York City not to indict white officers for killing unarmed black men has provoked a kind of national Rorschach test on race. According to a Pew Research Center study, blacks, by a an overwhelming margin, say the Ferguson shooting raises critical racial issues and that the police quote "went too far" in responding to subsequent protests. Only 9 percent of blacks said they agreed with the Grand Jury's decision. In the mostly minority Ferguson, Missouri neighborhood where Michael Brown lived, residents have taken what they call a pro-active approach to monitoring police. A group called "We Copwatch" donated cameras to neighborhood residents so they can record police interactions. Nearly 14 years ago, leaders in McLean County tackled the issue of minority-police relationships using a different approach. GLT's Jon Norton has more in the 5th and final part of the GLT News investigative series "Police and Race in the Twin Cities."